Apple unveiled the developer preview of OS X Mavericks -- the tenth major release of its Mac operating system at the WWDC 2013 on Monday -- which the company claims has more than 200 new features, including Finder tags and tabs, multiple displays tagging, a new version of Safari and more. In addition, Apple emphasized on a set of new technologies incorporated into Mavericks, which are expected to contribute toward "breakthrough power efficiency and performance" of Macs by increasing their battery life and making them run faster. According to Apple, every level of the OS was looked at by the developers - "from the foundation up to the apps themselves" - to save more power and boost responsiveness. 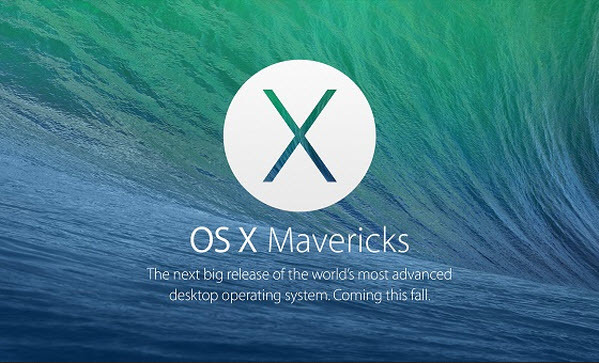 OS X Mavericks is claimed to have more than 200 new features, including Finder tags and tabs, multiple displays tagging, a new version of Safari and more. "The power technologies in OS X Mavericks were built with the capabilities of modern processors and the demands of modern apps in mind. The new power technologies work together to achieve substantial power savings, while maintaining—and in some cases even improving—the responsiveness and performance of your Mac," Apple said in an official document. 1. Timer Coalescing: "Timer Coalescing" minimizes the amount of system maintenance and background work that is performed while the Mac is running on battery power. The new technology assembles low-level operations and creates small periods of inactive moments that allow the CPU to enter a low-power state more frequently. It helps reduce CPU activity by 72 percent, resulting in less energy consumption and increased battery life. 2. App Nap: "App Nap" helps save power when a user works with multiple apps simultaneously. The technology puts unused apps into a low-power state that slow them down and helps conserve valuable battery life. However, whenever the user starts an unused app, it quickly shifts back to full speed. App Nap does the same trick with Safari tabs, meaning that only the visible tab runs at full speed. Apple claims that App Nap can reduce CPU energy by up to 23 percent. 3. 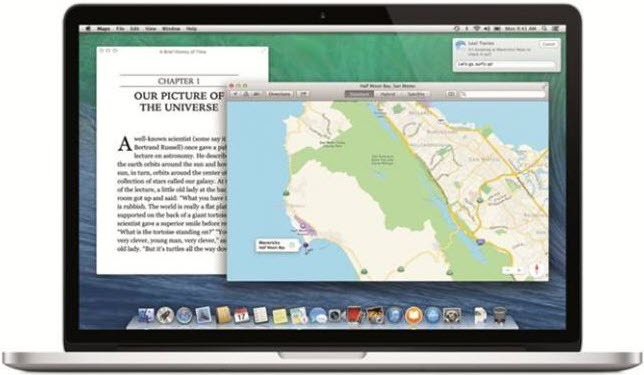 Safari Power Saver: With "Safari Power Saver," Apple has made the browser clever. Whenever a user visits a website to view a particular video, Safari Power Saver recognizes automatically what is necessary and pauses all other videos and animations that are off in the margins. On the other hand, the content located front and center plays as usual. Other animations won't play until the user clicks on them. Apple claims that with Safari Power Saver, browsing websites with plug-in content will consume up to 35 percent less CPU power. 4. iTunes HD Playback Efficiency: Apple claims that OS X Mavericks improves the energy efficiency of iTunes HD video playback. The video playback engine takes greater advantage of the efficient graphics hardware in the Mac and reduces the frequency of disk access. Apple said that together with more energy-efficient audio playback, the CPU will use up to 35 percent less energy while playing videos. 5. Compressed Memory: In OS X Mavericks, "Compressed Memory" frees up memory to make the Mac faster and more responsive. When the Mac reaches maximum memory capacity, the new technology automatically compresses the least used items in recent memory, compacting them by more than 50 percent. Compressed Memory also improves total system bandwidth and responsiveness, Apple says, allowing the Mac to handle large amounts of data more efficiently. Apple conducted tests for all the aforesaid enhancements by using 1.8GHz Intel Core i5-based 13-inch MacBook Air systems with 4GB of RAM and pre-release versions of OS X v10.9 (Mavericks) and OS X v10.8.4. For the testing of "Compressed Memory," Apple also used MacBook Air systems with 256GB of flash storage.